How often do you hear someone quoting a verse from Malachi? Not often, right? I've heard this same verse quoted at least 3 times in the past couple of weeks--even before we began collecting for the garage sale and before we began the Hoarders for Haiti page. It's no coincidence. 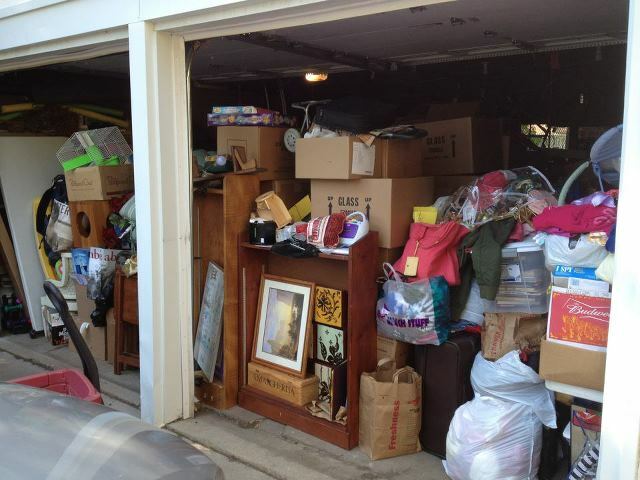 Each time I have organized and cleared out space in Jill and Peter's garage, it has been filled up within a day. Every single time. The garage is now so full that the front doors can no longer be opened and closed. And there are still more donations coming. The week before our presale, on April 28th, the prediction for all of Friday night and Saturday was rain. I went to bed praying and woke up praying. My prayer was simple: 'God, you filled up that garage and I trust You to empty it.' At 7am we checked the weather again. The storm was moving through and would be gone by 8am. And it was. The day was amazing. I was so busy, I never sat down. There was a constant stream of people from 8:00 until 4:00 when we finally turned people away and closed the doors. When we got everything back into the garage, it was still full. And now, it is bursting at the seams with more donations on the way. This coming Saturday, May 19th, is our 'real' sale. I have no doubt that God will empty the garage that He has filled. Someday, I hope to write out all the miracles and blessings that have happened so far in this adoption process. There is no question in my mind that this little boy belongs in our family. God has opened the floodgates and is pouring out blessing after blessing. If you are one of the people who is helping to provide those blessings, thank you! Thank you for being the hands and feet that are making this adoption possible. Thank you for being generous with your time and your donations. Thank you for helping to bring Manno into our family. I do not take any of these things for granted. You are blessing our family in a forever way and I am so grateful. Makes me cry! I BELIEVE! He hath made many a miracle appear on my path to parenthood. But, I was so entrenched in the whole process of bringing my children into this world I couldn't stand back and truly absorb the miracle until it was over. So, I am thrilled to be able to share this miracle with you and watch it unfold in a way I could not when I was in the midst of having my own miracle children come to be! And, I am elated that you are able (albeit I don't know how in all this chaos, lol!) to witness and absorb your miracle. I think I am going to go pray...lots of things to be grateful for. TOP of the list tonight: My dear friend RUTHANNE!!!! I love this, Ruthanne!!!! Can't wait to hear more of the stories! I am so happy we can be part of this. Who knew when we thought of this fundraiser how it big it would be! Beautiful! Blessings on your sale and on your son.